Fortnum & Mason is recognised internationally for its high quality goods and as an iconic British symbol. 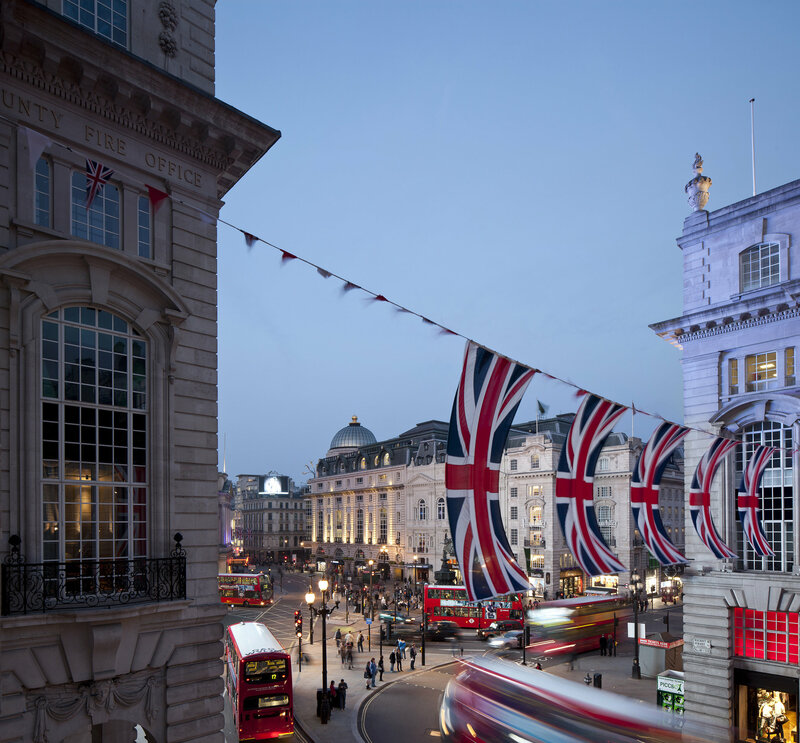 Bond Street is the only street that runs between Oxford Street and Piccadilly in the West End of London. The street, consisting of two sections, has been a fashionable shopping street since the 18th century and is the home of many fashion shops that sell expensive items. Piccadilly Circus is a road junction and public space of London's West End in the City of Westminster, built in 1819 to connect Regent Street with the major shopping street of Piccadilly. 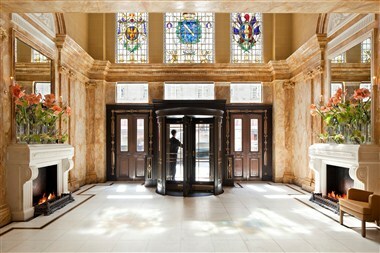 The Royal Academy's collection includes the finest examples of fine arts from the 18th century to the present. Located in London. JERSEY BOYS, the internationally acclaimed hit musical, tells the remarkable rise to stardom of one of the most successful bands in pop music history. William Hamley dreamed of opening The Finest Toy Shop in the World and in 1760 he did exactly that. If arriving by car please use the entrance located at 8-10 Air Street, W1B 0AB London Underground Hotel Café Royal is less than a minute’s walk from Piccadilly Circus station served by the Bakerloo and Piccadilly lines. National rail Paddington Station, Victoria Station, Euston, King’s Cross and Waterloo are all under 20 mins from the hotel by car or Underground. International rail For Eurostar services to the continent, St Pancras Station is 20 minutes from the hotel by car or Underground. London Heathrow 50 minutes by car. Heathrow Express 15 minutes to/from Paddington Station. Underground Piccadilly line 1 hour 15 minutes. London Gatwick 1 hour 30 minutes by car. Gatwick Express 30 minutes to/from Victoria Station. Our Concierge is happy to assist with trusted chauffeurs to and from all London airports. 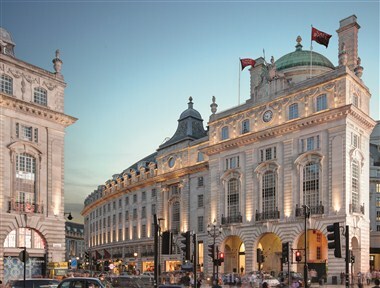 Kindly email concierge@hotelcaferoyal.com Regent Street and some surrounding streets are traffic free on certain dates in support of cultural events. 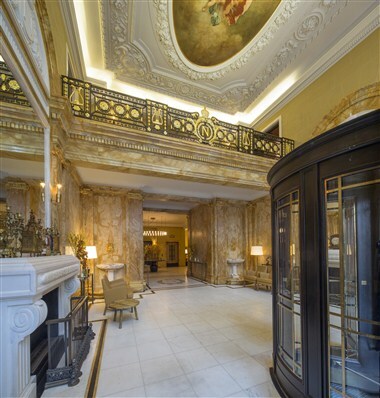 Kindly contact our Concierge by emailing concierge@hotelcaferoyal.com to find out more and for assistance in planning your journey to and from the hotel. 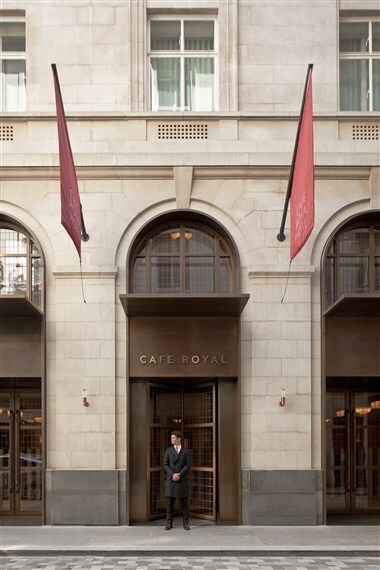 Combining architectural heritage with contemporary design, Hotel Café Royal, London, is a modern grand hotel in the very heart of the cities West End with the elegance of Mayfair to the west and the creativity of Soho to the east. With a history stretching more than 150 years, grand historic areas have been sensitively restored while 160 guestrooms and suites (including seven signature suites) have been created in a contemporary yet refined style. Continuing its celebrated legacy, the hotel offers a selection of restaurants and bars, cutting edge event facilities as well as the Akasha Holistic Wellbeing Centre, which promotes a 360 degree approach to wellbeing. 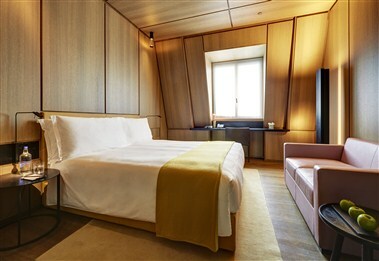 Hotel Café Royal is a hotel of The Set, a new hotel collection championing unique properties with outstanding addresses that enhance their respective destinations. The Conservatorium, Amsterdam and Lutetia, Paris (opening soon) are also part of The Set. Continuing its celebrated legacy, Hotel Café Royal offers a selection of restaurants and bars for guests to enjoy. Laurent at Café Royal, located in the heart of the luxury hotel, is the new grill and sushi bar while the Green Bar is the perfect place to relax and unwind with a cocktail. Restored to revive the ornate Louis XVI décor and detailing, the Oscar Wilde Lounge, formerly the Grill Room (originally established in 1865), is now the place to enjoy Champagne, cocktails and a light menu of British dishes. Reservations are recommended and to recapture the spirit of the room we ask that guests dress to be celebrative and sophisticated. Papillon, on Regent Street, revives the European tradition of café culture. 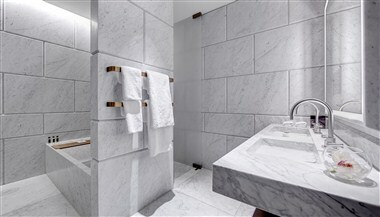 To complete the full experience, other facilities include the Akasha Holistic Wellbeing Centre. Spanning over 1,200 sqm, this urban retreat in the heart of London features a state-of-the-art gym, a spa, yoga and Pilates studios, a large pool and organic bar. Akasha is leading a new concept and holistic approach to wellbeing where guest are invited on a guided journey to promote health, happiness and fulfilment while improving personal balance. The name Akasha reflects a core vision to harmoniously unite the four basic elements of nature; earth, water, fire and air. The combination enables a transformational and balancing experience where body, mind and soul are aligned. Hotel Café Royal is the second member of The Set, a collection created to redefine the concept of the luxury hotel for sophisticated, design literate travellers in the 21st Century. 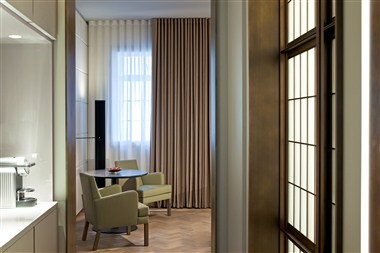 Working to an uncompromising brief that called for hotels that were not only of the moment but that would define their times and locations, architects and designers to rework the DNA of the grand hotel and create spaces that are contemporary in conception, whilst simultaneously evocative of the style and glamour of the past. Located in existing landmark buildings, each member of The Set is rooted in the history and culture of its location as well as the contemporary needs and desires of its guests.